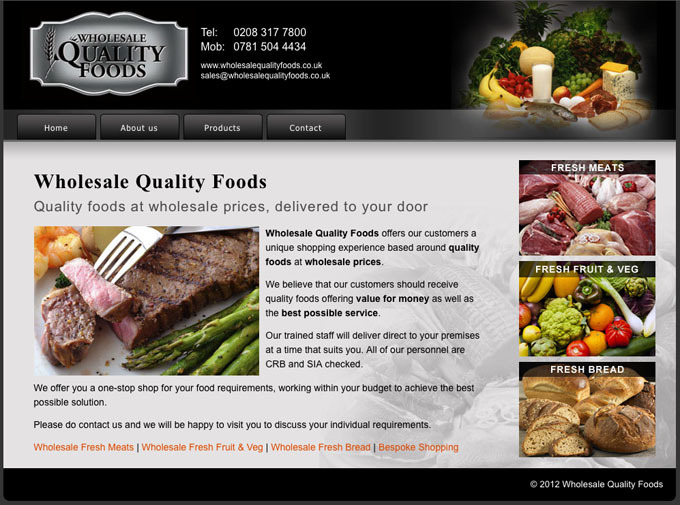 New website designed and managed for a new business venture in London offering wholesale quality foods, fresh meat, fresh fruit and veg and bespoke shopping delivered to your door. A long-term customer of our, the client was looking to establish a new business venture and wanted a simple low budget website to get the company started with a view to expansion in the future. This website has since been discontinued.